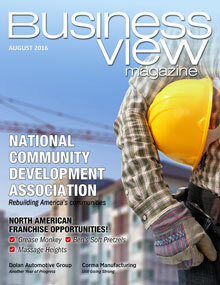 Business View Magazine profiles Dolan Automotive Group, new and used car dealerships offering sales and service, located in Reno and Carson City, NV. The Dolan Automotive Group, founded by Tom Dolan in 1982, is located in Reno, Nevada and serves customers in the Reno, Carson City, and Lake Tahoe areas. The Group is composed of Toyota, Lexus, Mazda, Kia, and Scion dealerships, each of which sells new and used cars and offers its customers both service and parts. Brady Dolan, Tom’s son became the General Manager of Dolan Toyota in 2012, and today is the Group’s GM; Tom’s older brother, Ryan, is the company’s CEO. Other recent changes at the Dolan Automotive Group include the hiring of a new Service Director to oversee everybody in all of the parts and service departments of each dealership, and the opening of a full-service Allstate Insurance operation at the Toyota store. Car buyers can now buy, service, and insure their vehicles all in the same place. 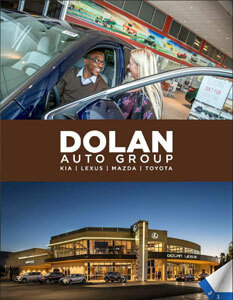 Continual growth and progression has been the hallmark of the Dolan Automotive Group for the past 34 years. And as the area’s population continues to explode, the future of this family enterprise looks exceedingly bright, indeed. Check out this handpicked feature on the Findlay Automotive Group – Family-Owned Since 1961.